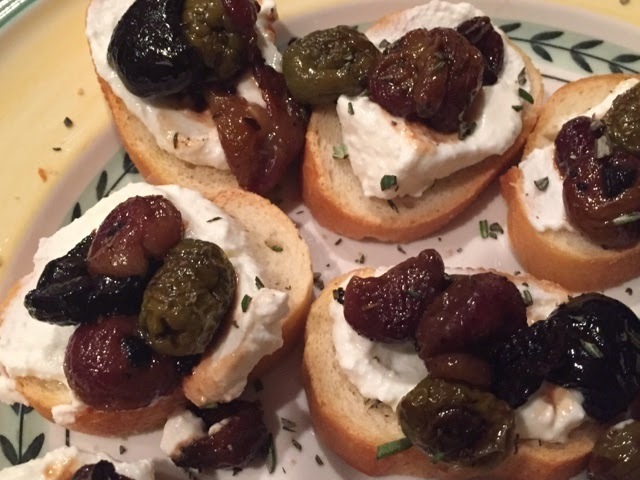 I made Smitten Kitchen's grape and olive crostini as one of the eight courses of New Year's Eve dinner and am obsessed with this recipe for easy roasting of olives and grapes. It's amazingly simple but tastes complex because the grapes break down and crystalize around the salty warm olives. I will definitely make again—maybe next time as a side or platform for meat instead of on crostini.